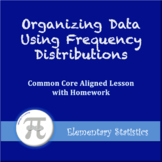 This is an introduction to frequency distributions, including examples and simple animation. 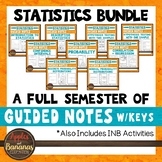 It includes: frequency tables, percentiles, histograms, and stem and leaf diagrams. 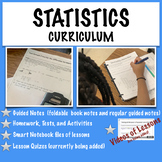 By the end of this lesson you will be able to: construct Cumulative Frequency Distributions; construct Cumulative Frequency Polygons. 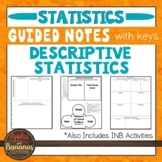 This worksheet gives students practice on making frequency distribution tables. I used this same sheet in my Prob & Stats class, and we also used the same tables to make frequency and relative frequency histogram, frequency polygons, and cumulative ogive graphs. What causes the frequency and distribution of traits to change? In this self-directed project, students will address HS-LS 3-3 of the NGSS by creating a scientific argument using the Claim-Evidence- Reasoning model. The argument addresses whether genetics are the only cause of traits. This is an introduction to a frequency distribution table. This lesson focuses on vocabulary. You can go over this as a class. 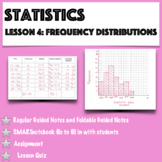 Frequency Distribution review notes, example, class mark, chart, histogram. By the end of this lesson you will be able to: read and create Frequency Tables and Distributions. This MS Word Document lets students create a frequency table and answer a few basic questions.